This page will provide you with information about having a knee arthroscopy. For further details, please speak to your consultant. 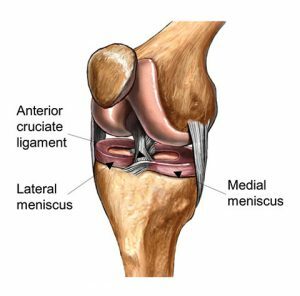 Also called keyhole surgery, an arthroscopy allows a surgeon to examine your knee by using a camera inside a metal tube (called an arthroscope), inserted through a small incision in the skin. Surgeons can also pass surgical instruments through the arthroscope in order to treat any conditions. The operation usually takes between half an hour and three-quarters of an hour, in most cases under a general anaesthetic. Why would you need an arthroscopy? Although problems can be diagnosed with an MRI scan, an arthroscopy may be needed in order to treat the problem. The procedure can be used to diagnose and treat joint pains and stiffness, or the joint ‘popping’ out of position. It can also be used to assess joint damage resulting from injury. As surgeons only need to make small cuts into the skin, the procedure can be less painful than open surgery, with less chance of infection and a faster healing time. In most cases, patients can go home the same day as the operation. It is common for the knee to be swollen for a few weeks after the arthroscopy, making walking uncomfortable. Regular exercise should help you to return to normal activities as soon as possible. Price for this procedure from £2600.